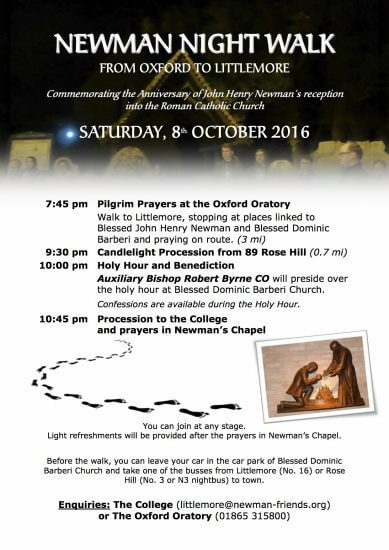 Saturday 8th October will be the anniversary of the arrival of Blessed Dominic Barberi at Littlemore to receive Blessed John Henry Newman into the 'one fold of the Redeemer'. 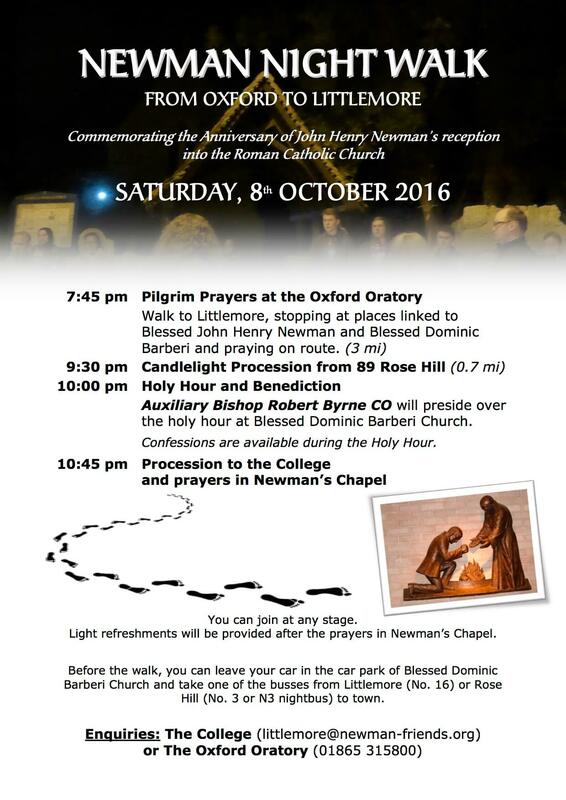 The traditional Night Walk will take place, beginning at the Oratory at 7.45pm, and the next day Bishop Robert Byrne, Cong. Orat. will celebrate the eleven o'clock Mass, at which Fr Paul Chavasse, Cong. Orat. will preach.